I read two of the shortlisted books – Patrick de Witt’s The Sisters Brothers and Barnes’ The Sense of an ending. I enjoyed both, though I much preferred de Witt’s darkly comic Western picaresque, to Barnes’ carefully crafted reflections of a disappointed and dishonest man. Both books seemed to me to fit this years’ judges criteria, that the books on the shortlist be ‘readable’ – although I must say, based purely on a personal and random list of Booker shortlisted novels I’ve read previously, Booker panels don’t tend to make a habit of selecting ‘unreadable’ novels. Of the two, I found the Barnes novel the more familiar and recognisable as a type, than de Witt’s superficially generic Western. 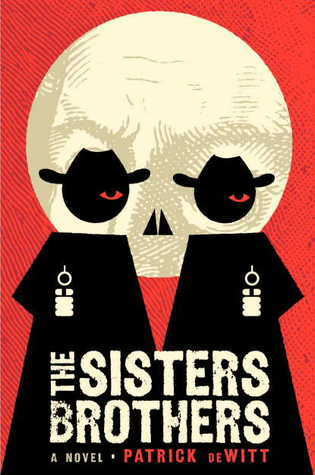 The Sisters Brothers was, to me, the more interesting work: by turns, funny, dark and surprisingly moving. Eli’s burgeoning moral struggle, reflected in the guilt he feels over his knackered old horse, and increasing questioning of his work and motivation, unfolded wonderfully over the course of the novel. The spare descriptions, strange set-pieces and characters encountered by the brothers on their ride to California, made for a memorable and haunting book. The Sense of an Ending presents us with an unreliable narrator, looking backwards and discovering that the lies he has told himself are ultimately as deeply damaging personally as the untruths his told others. 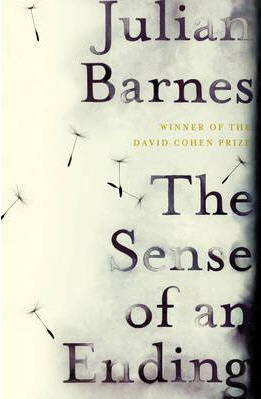 Beautifully written, and brilliantly paced, Barnes’ mastery of his craft is wonderfully apparent, and yet, somehow I felt I’d read the story, or this kind of story many times before. As far as Westerns and Crime Thrillers can be categorised as genre fiction, surely there must exist a sub-category of ‘literary novel’ – the genre of the disappointed, middle-aged, middle-class man. The familiar tropes are there in The Sense of an Ending: poignant recollection of the central character’s younger self, with episodes from schooldays and university presented as evidence, before there follows a gradual fading of hope and a slide towards an ordinary little life. Contrast this with a friend fizzing with energy and daring, whose brilliant, youthful promise is cut short. As I said, I enjoyed both books, but what strikes me is that many so-called literary novels are every bit as generic as those more usually categorised as such. This year’s Booker panel stirred up a deal more debate and controversy than normal by claiming to be promoting ‘readability’ above all else in their picks for the shortlist. This rather crass declaration is about as nuanced and carefully considered as the God debates between Religious Right and Richard Dawkins and the science zealots. Plenty of critics have been vocal in their disagreement, including Andrew Motion who said that this stance, “opens up a completely false divide between what is high end and what is readable, as if they are somehow in opposition to one other, which is patently not true”. The critical-media consensus seems to be that this year’s selection was poor – and unnecessarily so – with some very good books unfairly missing out. However, I do think Rimington and co have raised an interesting issue. 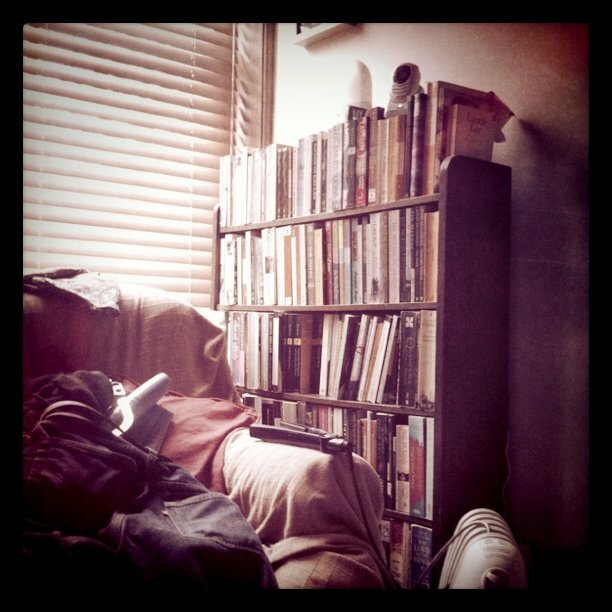 But I feel the real false division lies not between readable, plot driven books and challenging, boundary pushing work, but between ‘literary fiction’ and ‘genre fiction’. Motion is right to say that there should be no separation between the high-end and the readable, but equally there ought not to be a division between ‘literary fiction’ and genre novels. My problem is that there does seem to be a ‘Booker type’ of novel that is deemed acceptable and worthy by the critics. There is a swathe of others – horror, westerns, sci-fi, fantasy and detective fiction, which are not. Genre fiction is expected to know its place and not sully the literary fiction on the next shelves. At the very least until it is old enough to be considered ‘classic’ and is permitted to cross the divide. Frankenstein, Strange Case of Dr Jekyll and Mr Hyde, Dracula, The Woman in White, The Hound of the Baskervilles, War of the Worlds. Horror, Crime and Sci-fi ‘genre works’ or literary fiction? The rival ‘Literature Prize’, launched provocatively on the eve of the Booker, aims to counter what its founders see as the Booker’s descent into pushing market-driven lists of accessible fiction into the hands of a lazy, intellectually incurious, mass audience. I look forward to seeing their first shortlist. I hope that it does indeed feature novels of quality and ambition. I wonder how many books on that list will be set in outer space, feature spies and detectives, cowboys, ghosts or pirates? Very few I’d guess. And I’ll bet that any rogue genre types who slip through the net will be heavily outnumbered and outgunned by middle-class, middle-aged men looking backwards.